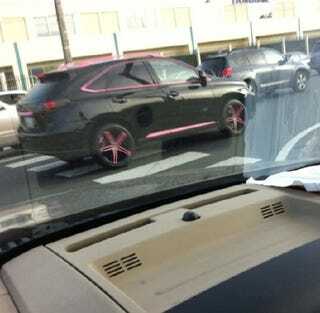 Today, my girlfriend sent me an example of how NOT to customize a Lexus RX. Even the roof racks were not spared from the pink plague. Photo taken today in San Juan, Puerto Rico.